In many parts of the country, dealing with hard water is a necessity. Our well water is hard (it has a lot of calcium and magnesium in it), plus it has rust and particulates. 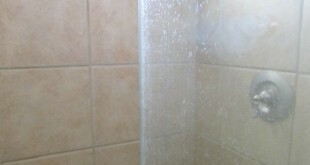 Even with a softener and whole house particulate filter, over time deposits build up in the faucets and shower heads. 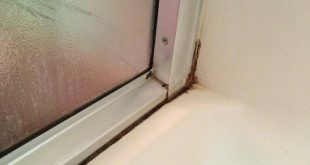 To clean limestone covered area, you’ll apply a special solution (vinegar based) on a cloth and rub well the affected area, both inside the shower head and beyond it. After you have applied this solution, will allow the surface to dry, and then wipe with a dry cloth. 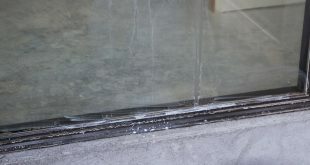 In the end, apply a special solution for cleaning windows.